It seems like everyone these days is talking about “content marketing” and that it is soooo important and you need to do it. However, for those who aren’t professional marketers or who don’t have a team to do it for them, it just seems like something else on the neverending to-do list. I hear you. I feel it too. What makes it even worse, you don’t even know exactly what it is, just that you have to create content, and share it on Instagram, Facebook, blogs, emails as well as create videos, both live and uploaded, and then you start to feel overwhelmed as the marketing is taking over everything and you are spending more time doing marketing then your actual job. Or you might be really inspired and do a whole heap of posts, then not do any for a month. Before you start to say its all to hard, I promise you – it’s ok – I’ve got your back. Here, I am going to break down for you what content marketing is, why it is important to do consistently, and some easy ways to get it done without feeling overwhelmed and confused. Firstly, What Is Content Marketing? Content marketing is a marketing technique focused on generating and distributing relevant, up to date and consistent content to attract and keep new customers, and eventually, drive customer action to boost sales and increase revenue. It is one of the most effective and interesting ways for your business to connect with your customers in a meaningful manner. When customers search for products and services, they often look for information. They want to know how a particular product or service be beneficial to them and help them improve their life quality. With content marketing, you provide useful and relevant content to your customers and clients to help answer their questions and solve their issues, rather than pitching your services or products. Businesses across all industries are using this marketing strategy for valuable reasons, such as cost savings, increased sales and obtaining better quality clients who have more loyalty to the business. Thus, content marketing is great for your customers and bottom line. Share images, videos, quotes, stories, products or links to your customers that you think they will like. When people think of content marketing, perhaps they think about publishing newsletters, blogs, press releases and articles or producing podcasts and webinars. While all these are vital components of this marketing strategy, the key here is simply to connect not to sell. Let your customers know that you get them as a person, and understand their issues, problems and desires. If you do this well, when they do need something from you (your product or service), they will come to you. 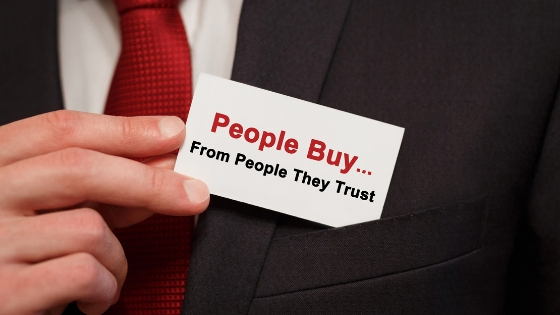 As people buy from brands they know, like and trust. For some more ideas on this, download my cheatsheet on social media content ideas. Time is a precious resource. Make sure you are using your content on multiple platforms, don’t waste it by using it just once. If you have Facebook and Instagram, share it across both. Have an email list? Send it out to your customers through that? Have a website? If you do, include it there via a Facebook feed or if you have the time, sharing it in a blog article that you then can email out to your customers. What I mean here is that brands and business must be consistent in producing and sharing great information, and not just those that you think are “instaworthy.” By showing up regularly and consistently, you will be at top of mind for customers. It now takes around 22-interactions with a brand before people will seek to purchase, so if you are in their feed all the time (in a relevant, non-annoying way) they will love you for it. A great way to do this is to sit down and write several posts (a week or a month’s worth) in one go and then schedule them so you don’t have the constant need to create over your head. When creating content to market your brand or service, remember that you’re not doing a presentation or a research paper. The world is complicated enough, so try to make your content as simple as possible. Lose the formal corporate terms and university-level grammar and convey what you want to tell people in simple and easy-to-understand words. Note: spelling and grammar are still important – check out grammarly.com, a great free! tool if you need extra help with this. No matter what type of marketing technique or tools you have, content marketing must always be a part of the process.